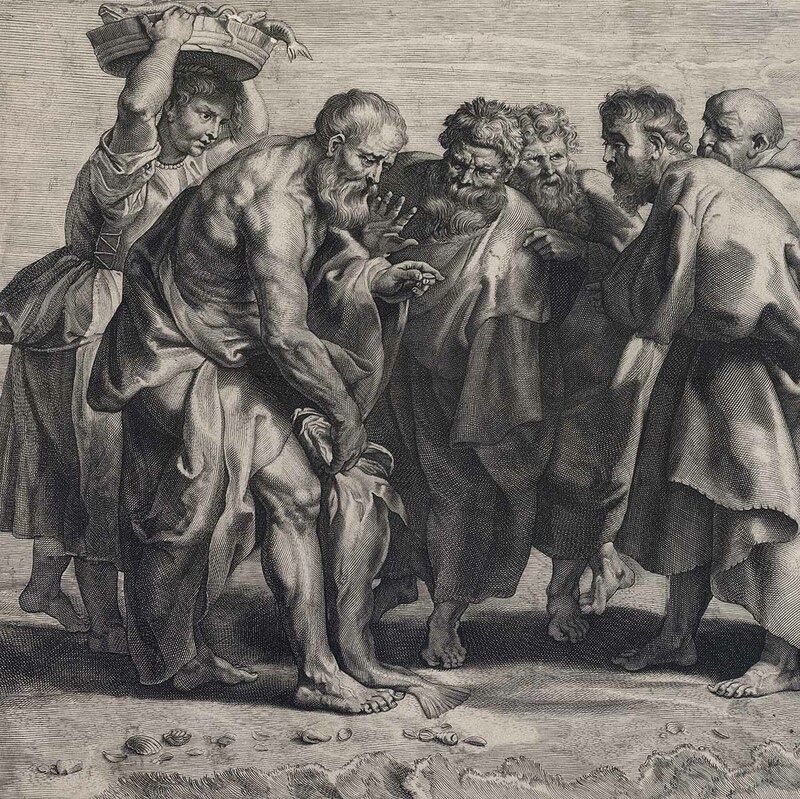 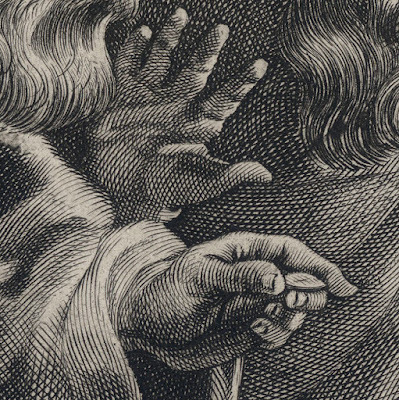 “Peter finds a coin in a fish” (Rijksmuseum title) (aka “St Peter Finding the Tribute Money in the Mouth of a Fish”), c1620, illustration to the Gospel of St Matthew (New Testament) 17:27, after the left panel of Peter Paul Rubens’ (1577–1640) triptych, “The Miraculous Draught of Fishes” in the Onze-Lieve-Vrouw-over-de-Dijlekerk in Mechelen, published by Esnault & Rapilly (fl.c.1766–1804) with the original privilege from Archduchess Isabella of Austria (as noted on plate in the publication details). 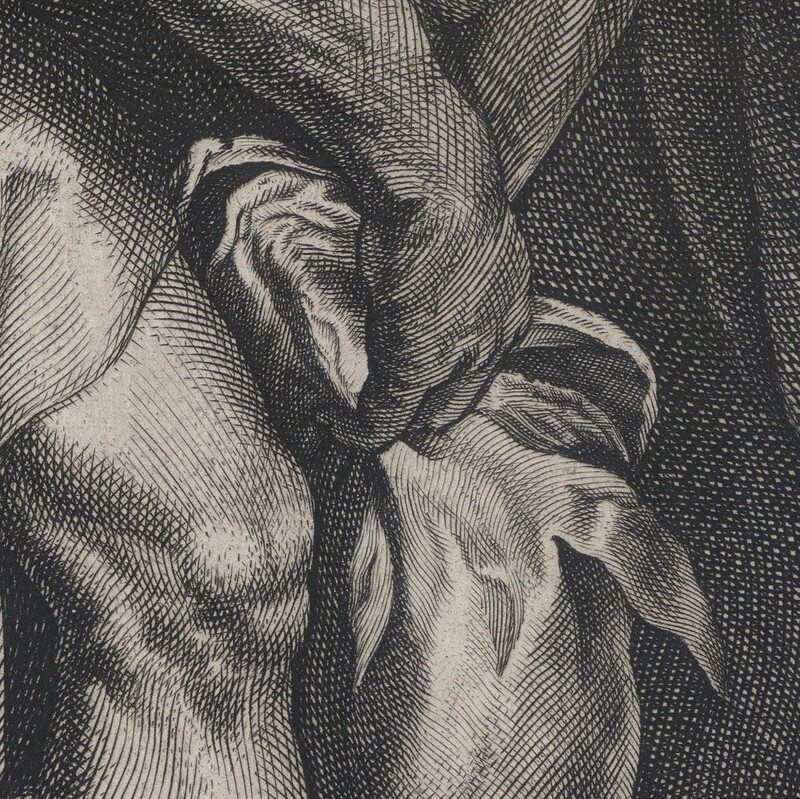 Regarding Rubens’ composition, the Curator of the British Museum advises: “A second painting with this subject is mentioned in Rubens' letter to Sir Dudley Carlton of 28 April 1618 (Renger, 1974, p.171)” (see BM no. R,3.62). Regarding the privilege Henri Hymans (1972), proposes that this print is the first published by Rubens after obtaining his privileges (p. 75). 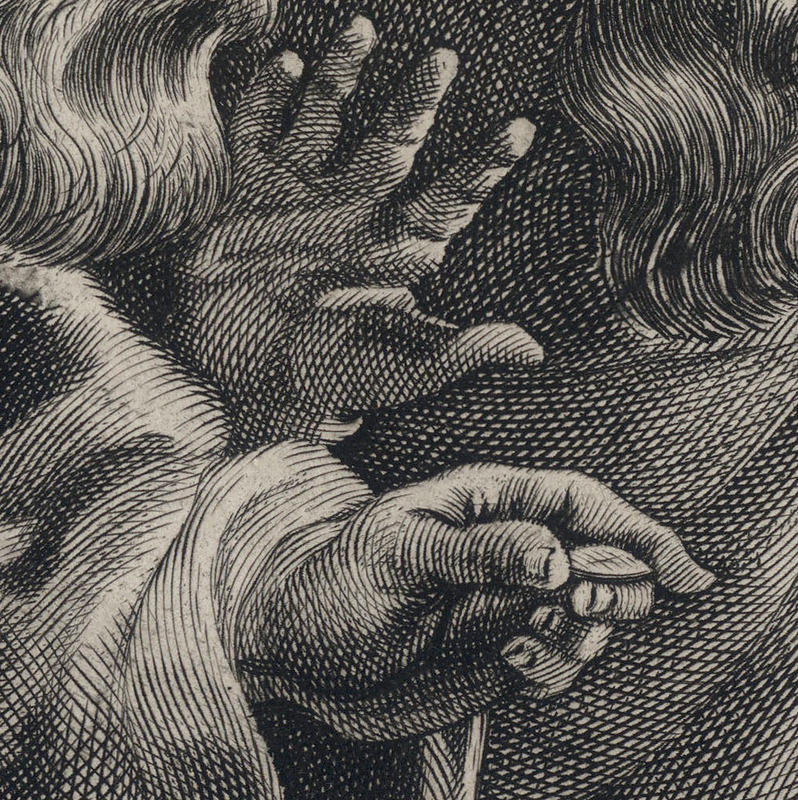 Engraving on laid paper trimmed with thread margins around the plate mark and backed with a support sheet. Condition: richly inked and near faultless impression trimmed with thread margins around the plate mark and backed with a support sheet of archival (millennium quality) washi paper. 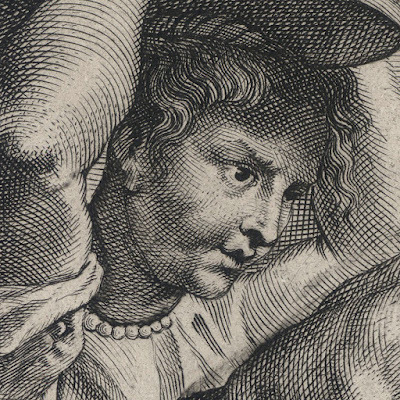 The sheet shows minor signs of handling otherwise it is in very good condition (i.e. 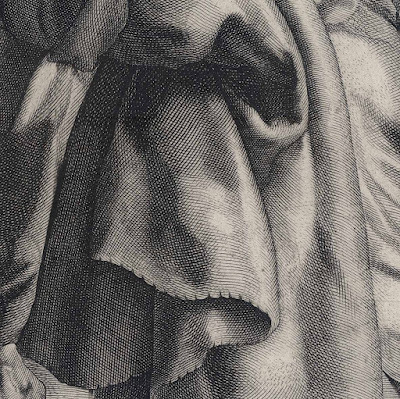 there are no tears, holes, folds, significant stains or foxing). I am selling this masterpiece of early engraving for AU$260 (currently US$187.29/EUR163.84/GBP143.05 at the time of this listing) including postage and handling to anywhere in the world (but not, of course, any import duties/taxes imposed by some countries). 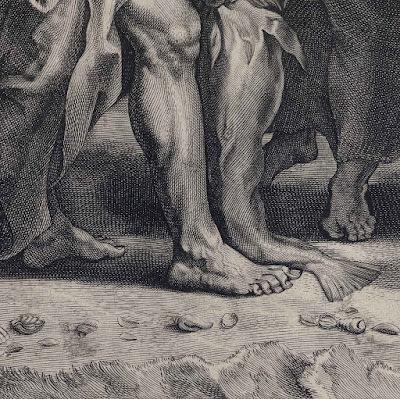 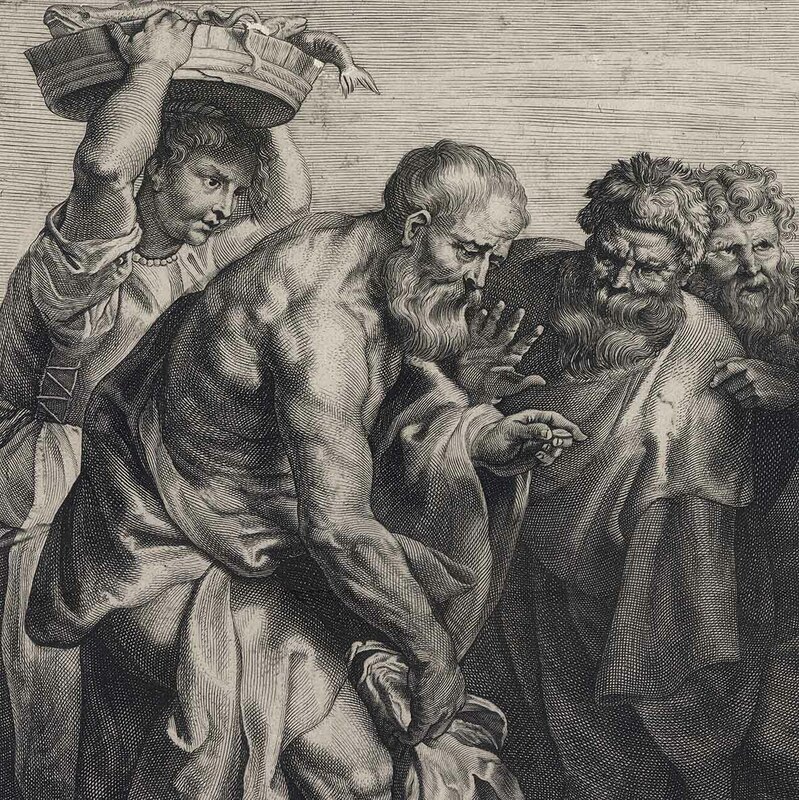 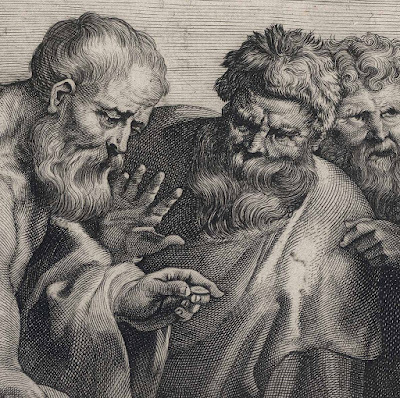 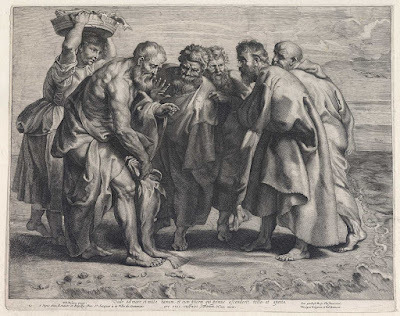 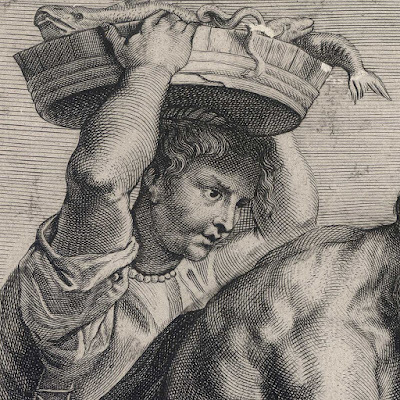 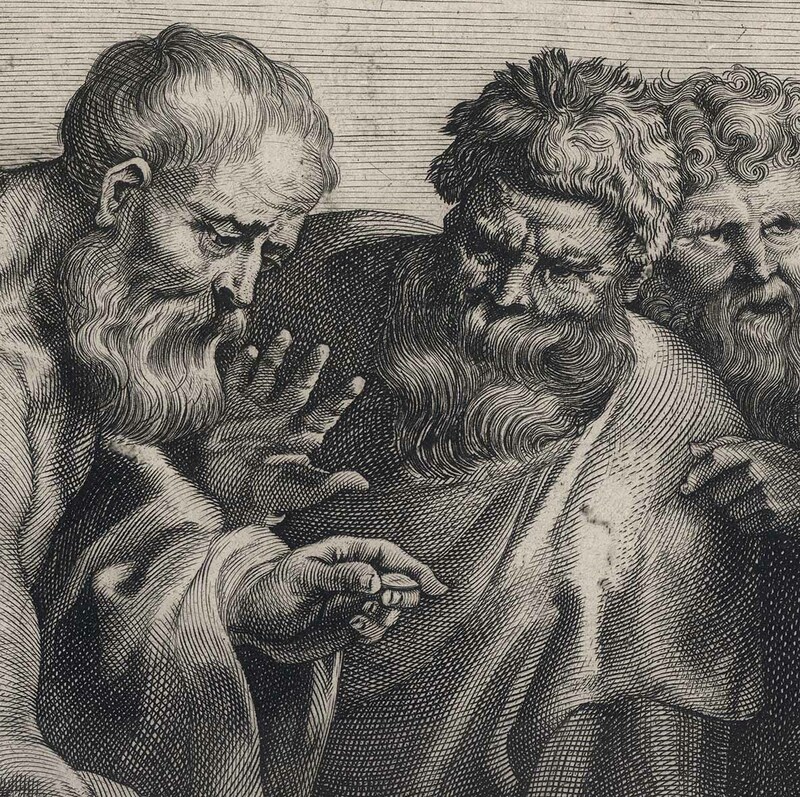 If you are interested in purchasing this very strong engraving showing St Peter extracting a coin—Henri Hymans’ (1972) in his catalogue raisonné regarding this print advises that it is a four drachmas coin (p. 75)— from the head of a fish, please contact me (oz_jim@printsandprinciples.com) and I will send you a PayPal invoice to make the payment easy.